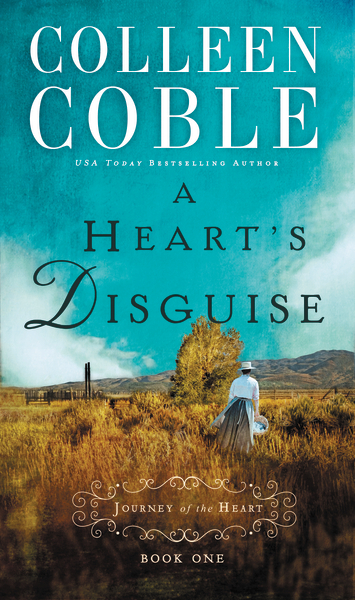 A Heart’s Disguise (Thomas Nelson, March 2015)In the aftermath of the Civil War, a young woman searches for her lost love at the edge of the West. The Civil War has destroyed Sarah Montgomery’s marriage before it’s even begun.After Sarah receives word that her fiancé, Rand Campbell, has been killed fighting for the Union, her brothers and ailing father persuade her to pledge herself to Ben Croftner—despite her strong misgivings. But when Sarah finds out that Rand is in fact alive—and that Ben Croftner knew it—she indignantly breaks off the engagement and goes in search of Rand. 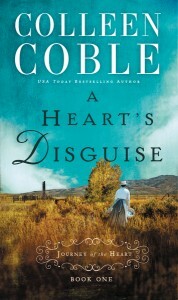 A Heart’s Disguise is the first of a 6 books series set in the post Civil War era. It is a 90 page afternoon read which I really liked. Sara was to marry Rand but told he died during the war. So her dad arranged for another husband that would also help her family by marrying Ben ~ she was not in love with him but thought she needed to do what was best for her family. Then something surprising happens. 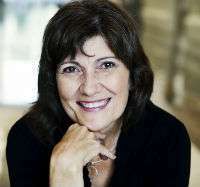 You will want to read A Heart’s Disguise to see what happens and the other 5 books that follow. I received a Copy of this book from the author for purpose of honest review. I was not compensated for the review, and the review is honest. If you think that airbrush makeup is only for celebrities and models, think again. Temptu has made the same professional-grade products used on the red carpet and the runway available to everyone. Airbrush makeup is easy to apply and effortlessly makes the transition from day to night. Whether you are being photographed by paparazzi or simply snapping selfies wherever you go, your flawless face will be ready for the camera, as fashion blogger Negan Mirsalehi shows on a Nylon X Temptu video. Negan’s makeup looks great all day long—even after eating a cupcake laden with frosting! She also goes behind the scenes at Mercedes-Benz Fashion week and mingles with models wearing Charlotte Ronson and Temptu makeup. It takes a bit of practice to master the art of applying airbrush makeup, as Negan explains on her blog, but once you do, it’s only a matter of seconds from start to finish. You may want to practice with water as you read the manual to become familiar with each different setting. Once you are ready to apply the makeup, make sure that your face is clean and dry and pull back your hair to protect it from overspray. Next, apply primer to create a smooth surface, then attach the foundation color of your choice to the machine. Turn the dial to the 3 o’clock position and, holding the gun approximately six inches from your skin, spray your face thoroughly using small circular motions. Be sure to keep your wrist steady. Next, switch out your foundation with a bronzer and change the dial to a setting with more accurate control—like 12 o’clock—to apply the makeup to your cheekbones or T-zone in the same manner. The system can also be used to apply color to your cheeks, eyelids, and even your lips if you desire. If you prefer good, old-fashioned lipstick to airbrushed lip color, Temptu recently launched eight new shades of lipstick in collaboration with Nylon Magazine. A variety of women—including a content creator, a DJ and lyricist, and a CEO—were all photographed for the magazine wearing different shades of Color True Lipstick. The photo shoot illustrates how stunning average, ordinary women look with the right makeup products. With airbrush makeup, you can achieve the same flawless finish that you see on celebrities in the glossy pages of Nylon and models on the runway in less time than it takes to apply traditional makeup products. It has been awhile since I have played any games. When growing up we use to get a couple games at Christmas and spent lots of evenings playing with my brothers and sisters. I was excited to play Martian Dice Game. Here is the description of the game. Your mission in Martian Dice, is to swoop down on the pathetic denizens of the primitive planet “Earth”, and to scoop up as many of the inhabitants as you can manage. We are interested in samples of the Chicken, Cow, and Human populations, so that we can determine which of them is actually in charge. The Earthlings might manage to put up a feeble defense, but surely nothing that a small taste of your Death Rays can’t handle. Make Mars proud be the first Martian to fill your abduction quota. Rex and I have played a couple times and we have had fun doing it – it is pretty fast-paced dice game and you can finish in about 30-45 minutes. You play with 13 dice on the first roll and it changes each time you roll. The main objective is to get at least one human, cow and chicken in a roll. It’s a fun game and doesn’t take much space to play or store. It makes for a fun night and lots of laughter. 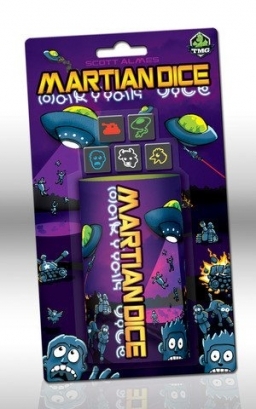 You can purchase your own Martian Dice Game on the link below from Amazon.com. Here is another one of those great copper mugs. This Moscow Mule Mug is polished smooth and has a unique design with a thumb place holder for a firm grip. It is made out of solid copper plate construction with a polished steel lining and brass handle. I really like how large the mug is – 16 ounces perfect for a summer time cocktail. I think it will be nice to use while I am sitting on the back porch either entertaining or enjoy a nice quite night reading or just people watching. The Moscow Mule Mug is made for keeping cold beverages cold. The Moscow Mule Mug is not dishwasher or microwave save. So you will need to remember after enjoying your beverages to hand wash the mug and dry it. They will last a long time and keep the nice shine if you take care of them correctly. I think the drink sounds just right for a nice hot day! If you would like to purchase your own Moscow Mule Mug you can use the link below to purchase it on Amazon.com. This was such a great idea ~ to combine phytoceramides with and vitamins A, C, D & E. All of these ingredients work together to give you younger looking skin. Then add the Vitamin C Serum and you have a winning combination. Together they will deliver safe, effective convenient and all natural skin care. 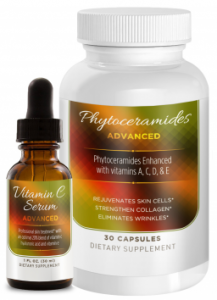 Here is what you can expect when using both the Vitamin C Serum Advanced and the Phytocerimedes Advanced Skin Care System ~ on the first day of use you will notice a tighter and smoother skin. It will also tingle a bit and be a bit more rosy in color. After a week you should notice a reduction in visibil dark spots, fine lines and wrinkles. By the second week of continued use you will notice that the deeper wrinkles are starting to fade and the skin around your neck will become tighter. I have been using both products for a few weeks now and have noticed that my skin feels tighter and it is smooth. I like how easy it is to use – 1 capsule in the morning and a small amount of serum on my face and neck in the morning and at night. If you would like to purchase the Vitamin C Serum Advanced and the Phytocerimedes Advanced Skin Care System you can do so on the link below from Amazon.com. 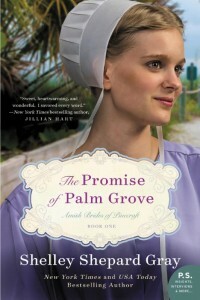 I really enjoyed The Promise of Palm Grove. I really like that it took place in Pinecraft Florida, it sounds like a place I would want to visit. I was happy that Leona was able to get away for a vacation and away from her finance Edmund. He was kind of a jerk to Leona and didn’t seem to really care about her happiness. 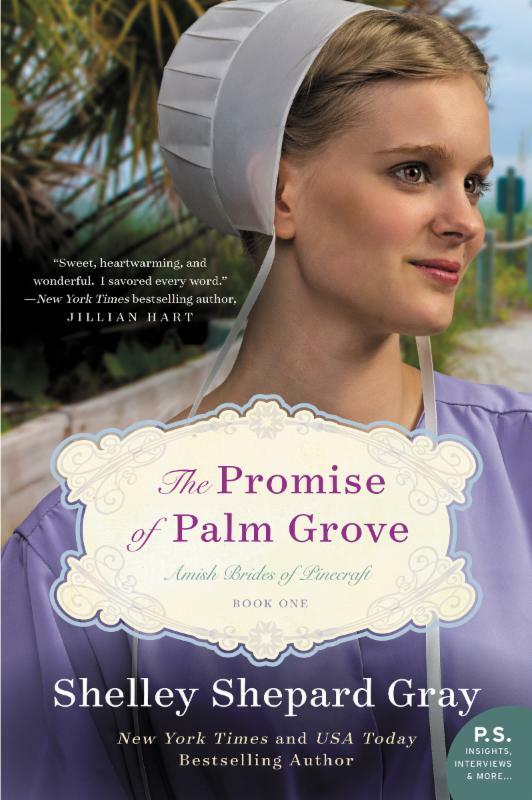 The Promise of Palm Grove really kept my attention and I was happy with the ending. I really didn’t want the book to end as I wanted to keep hearing about the characters. It was a good heartwarming book. I received a Copy of this book from the author for purpose of honest review. I was not compensated for the review, and the review is honest and mine. When I saw this copper mug it brought back some memories. I grew up on a small farm in Wisconsin and in the milk-house we always had a copper mug in there so you could drink some nice cold water. I am sure this hammered Moscow Mule Copper Mug is a much better cup than the one I remember. It is made with 100 % Pure Copper and is molded and hammered by experienced artisans from solid copper and then it is polished to perfection. It has a solid double wall and will keep your drinks cold. 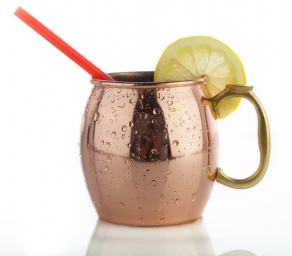 To keep your Moscow Mule Copper Mug looking like new make sure to hand wash and dry it immediately after use. Do not let liquid sit over night in the mug. It should not be put in the dishwasher or used in the microwave. I love the rounded lip that makes it easier to drink out of it. 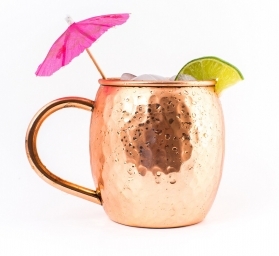 These Moscow Mule Copper Mugs are perfect for a summer party. The mugs are large at 16oz and perfect to hold a refreshing summer drink. If you would like to purchase your own Moscow Mule Copper Mug you can do so on the link below from Amazon.com. 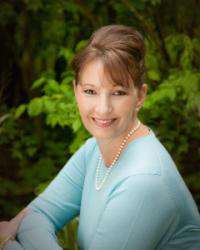 One place I forget about using lifting and firming lotion is my neck – and it is one place that definitely needs it. I was happy to try the Body Merry’s Age Defense Neck Cream. It is a powerful moisturizer that firms, smooths and improves the suppleness and elasticity of your neck. The cream has natural and organic ingredients such as plant derived hyaluronic acid, royal jelly, green tea and many other ingredients that provide your skin with vitamins and antioxidants. What I really liked about this Body Merry’s Age Defense Neck Cream is that it had no fragrance and contains no parabens, sulphates or phthalates. I also liked how creaming the lotion was and how easily it blended into my skin. I found that if I used it in the morning and at night it worked the best. It can be used by all skin types ~ but if your skin is sensitive you should only use it at night. With regular use you will see firming and tightening in how your neck and decollete look. If you would like to purchase this product to use for yourself you can do so on the Amazon.com link below. These sound like something a dog would love – enter today! Deliciously Savvy is Hosting a Giveaway For 1 Lucky Winner To Receive a Bag of Fifi & Fido Beef Jerky Treats For Dogs! My Little Chihuahua LOVES These and is Constantly Begging Me for More! Your Dog Is Sure To Love Them Too! Fifi & Fido’s Beefy Jerky Treats are low-odor, deliciously slow cooked treats, made from 100% USA pure beef. No added foreign ingredients from China! Our high-quality Fifi & Fido Beefy Jerky Treats are baked in a SQF certified facility that adheres to global food safety standards. The healthy dog treat alternative! Wheat, corn, grain, and soy-free with no added sugar or wheat gluten. No-mess treat sticks, that are easily breakable for training, and can be just as easily concealed in hands and pockets when training your furry best friend! Cannot Wait To See If You Win? You Can Purchase Today! This giveaway will end at 12:00 AM (EST) on 4/07/15! This looks like a book that I would enjoy ~ What about you? Make sure to enter the $50 Amazon Gift Card or Paypal Cash Giveaway below.